The British government is apparently ready to fine Facebook and Google billions if they don’t rid their platforms of harmful content. Businessinsider.com reports that the fines could amount to 4% of global revenue. The UK digital minister Margot James says a new independent tech regulator will be given the power to punish the companies if they don’t properly protect their users. Full details are expected to be released in a policy paper on net safety that should be out next month. 4% of revenue is a bundle…up to $2.2 billion on revenue of $55.8 billion last year for Facebook, and as much as $5.4 billion against Alphabet’s total 2018 revenue of $135.8 billion. The Apple Watch continues to be the 800 lb. gorilla of the smartwatch world, and even grew 4th quarter. According to macrumors.com, Apple shipped 9.2 Watches in the final quarter of 2018, up 18%. Overall, smartwatch sales were up 56% worldwide to 18 million. Apple slipped from 67% of the market to 51%, but still remains the top dog. Samsung skipped up to 2nd place, passing Fitbit and Garmin. The Razr may rise again. Motorola is working on a folding phone (much like every other smartphone maker.) Engadget.com says the company claims to have been working on a folding product for some time and has gone through multiple iterations. All indicators point to a folding Motorola offering by summer. Considering that the Samsung Galaxy Fold will be out next month, and the Huawei Mate X will drop mid-year, the venerable cell phone name will be right in the thick of things. The Motorola offering will feature styling cues from the original Razr. Motorola has said they won’t offer an outside screen, citing the lack of durability of OLED screens with plastic film overlays. Interestingly, Motorola has worked up a dual hinge model that folds twice..leaving only a third of the display exposed when closed. The company says that double fold model may be out at some point, but likely won’t be the first folder they release. A new wrinkle from Amazon for Prime members…the company has announced the launch of ‘Amazon Day.’ According to tech crunch.com, the new feature will allow members to pick the day of the week to take delivery of their orders. The orders will arrive on the selected Amazon Day in fewer boxes, and should make deliveries more predictable. Obviously, the service benefits Amazon, by reducing the number of deliveries a driver has to make to the same address, but it could also be a boon to users. You can pick a day that you are scheduled to work from home, for example…or you day off. It also goes to Amazon’s promise to become more green friendly. Most items can be ordered for Amazon Day delivery up to two days before the chosen day arrives. The service is live today. At long last, Facebook’s promised ‘Clear History’ tool may come out later this year. Theverge.com reports it was promised last May, but has been delayed. The tool would work similarly to a clear cookies function, but would clear your browsing history on Facebook…what you’v clicked on, what websites you visited, etc. Facebook plans to begin testing the tool this spring. It will no doubt impact Facebook’s ad revenue…that is, unless FB or other users of the data find a way around it! FedEx has announced that it is testing robots for short range deliveries….basically, last mile deliveries. According to theverge.com, the FedEx SameDay Bot is battery powered, and would have a top speed of 10 miles per hour. It would be capable of avoiding pedestrians and traffic using a combination of LIDAR and cameras like a self-driving car. Initial tests will be run between FedEx offices in Memphis. There have been rumors for several years that Apple is developing AR glasses that could overlay points of interest and information. Macrumors.com says the patent granted yesterday only states that it is for a ‘head-mounted display.’ It would have a cam that would locate, identify, and annotate points of interest or other objects or locations. The gadget could be released in 2020 or 2021. T-Mobile has announced it plans to start rolling out their 5G network in the first half of the year…and critically, the CTO Neville Ray says unlimited 5G data won’t cost more than current plans…at least at first. According to engadget.com, the unlimited 5G plan could cost as little as $70 a line…the bae rate for the company’s present 4G service. Samsung is apparently concerned that beyond the Galaxy 10, the names of their hero phones will be too long. According to 9to5google.com, the company is looking at changing the naming scheme to make things easier for consumers. Apparently, we are too dimwitted to be able to remember and say Galaxy S12 and so forth. Although they haven’t done so with their iPhones yet, Apple has dropped the numbering system on some of their products. The iPad and iPad Pro, for example, are just the latest models of those…no numbers or letters to scream ‘NEW!’ It will be interesting to see what direction Samsung takes with their change to the name of their flagship smartphone brand. Apple Music may be available before long on Google Home Devices. MacRumors.com reports that an alert reader spotted an Apple Music listing within the Google Home App for iOS…which MacRumors confirmed…but so far, it can’t be linked to a Google Home device. Apple Music became available on Amazon’s speakers in December, and you can use Alexa commands to control the playback. With the modest sales of the great sounding but more limited (and pricey) Apple Home Pod, this may help extend the reach of Apple Music. Spotify, Pandora, Google Play Music, YouTube Music, and Deezer are already available on Google Home. Energizer…yeah, the battery people…have unveiled a line of smartphones at Mobile World Congress. MacRumors.com says one stands out…REALLY stands out. It comes with a whopping 18,000 mAh battery. That’s 5 times the battery power of an iPhone XS Max. Here’s the rub….duct tape 3 iPhones together, and you have the thickness of this brick! It runs Android 9.0, weighs about a pound…and good luck getting it in a pocket. If you’re really paranoid of running your phone down to dead, this might be for you. It’s $682, and here’s a pro tip…buy the Samsung or iPhone for around $700, and just buy a power brick and slip that in your backpack! Porsche says the next-generation Macon compact SUV will be all-electric. Electrek.co also reports that the legendary German brand will be rolling half their new vehicles on a fully electric drive system by 2025. The new pure e-Macan will be out the end of 2019. Razors have seemingly stopped adding blades at 5, but will smartphones? It’ shard to tell, but Nokia has rolled out the Nokia 9 PureView, which sports 5 rear 12MP cameras! The $699 handset has done this…and amazingly, there’s no ‘camera bump! According to 9to5google.com, the Zeiss cameras are powered by Light…the cam company that made that wild camera with 16 individual modules! Two of the 5 cameras are color, and the other 3 are black and white. The focal length is the same on all. The B&W cams don’t add more detail and depth. There’s no so-called ‘telephoto’ or ‘wide-angle’ lens on this handset. Most of the other characteristics of this phone are pretty standard for a $699 price. No release date has been announced, but Nokia says it will be limited production, so you’ll want to act fast if you want one, once it comes out. As everyone gets excited about the latest on self-driving tech from Tesla, Google, General Motors, Uber, and even Apple, one tech giant has been flying under the radar. Amazon has been pouring cash into autonomous vehicle tech. As axios.com notes, though, their aim isn’t your new, self-driving car or a driverless taxi service…it would allow even quicker shipping from their warehouses to your door…and without relying on other delivery services like UPS, FedEX, or the Post Office…or even Amazon’s own contractors! According to a report from McKinsey, autonomous deliveries would cut shipping costs by up to 40%! Kroger and Walmart are also interested in autonomous vehicle delivery, but the real 800 lb. gorilla is Amazon…and of late, they have really stepped up activity in autonomous vehicles with and investment in Aurora Innovation…a start-up led by engineers from Google, Tesla, and Uber, and in Rivian…which has an electric chassis that can be adapted to virtually any type vehicle. Think of how much stuff people will buy from them if nearly everybody can get delivery in an hour or less? Buy groceries online and have them at your door in under an hour from Whole Foods. It may be here sooner than you think! Three security flaws have been found in 4G and 5G that can allow intercepting phone calls and location tracking of cell phone users. According to techcrunch.com, a group of academics from Purdue and University of Iowa will present the info in San Diego tomorrow to the Network and Distributed System Security Symposium. These previously unknown attacks can defeat newer protections that were thought to make it harder to snoop on phone users. The first attack, named Torpedo, actually allows the other two. The hacks can be made with radio equipment costing as little as $200! They work on all 4 major US operators’ systems. There are many reports noting that Apple seems to be trying to veer away from relying on the iPhone so much, turning to services to pickup the slack. Now, 9to5mac.com reports that Apple and Goldman Sachs are preparing to release a joint credit card. The card will (of course) integrate with the Apple Wallet, but is expected to offer special features like the ability to set spending goals and track purchase rewards, as well as offer rewards like 2% cash back…perhaps more when buying Apple products. Apple is apparently going to begin testing the card in the next month with employees, and the companies look to launch it later this year. The card will rely on the Mastercard payment network. Children’s advocates are urging the FTC to investigate whether Facebook broke federal law by allegedly duping kids into spending their parent’s money on online games. CNET.com says the complaint flows from an investigation done by Reveal (a website run by the Center for Investigative Reporting), citing info from a 2012 class action lawsuit that Facebook facilitated what was called ‘friendly fraud’…encouraging game developers to get kids to spend their parents’ money without consent. The suit settled in 2016. Neither the Federal Trade Commission nor Facebook has commented on the investigation request so far. In the wake of the reveal that the Google Nest security hub had a secret microphone, the Electronic Privacy Information Center is calling for the Federal Trade Commission to force Google to divest the Nest division. Businessinsider.com reports that EPIC sent a letter pointing out the potential consumer risk to the FTC, and calling for a quick action against Google. EPIC also points out that not only could Google have been listening in, but also a remote hacker or other third party. Samsung has finally revealed the fabled folding phone, which had been dubbed the Galaxy F. Now, theverge.com reports it is officially the Galaxy Fold. It features a 7.3 inch Infinity Flex Display, that allows it to have a tablet sized screen that can be folded to fit a pocket. It will be available in both LTE and 5G versions. When folded, there’ a 4.6 inch display that can be used. It will have 512 Gigs of flash storage, and 128 Gigs of RAM. The Fold has two batteries (which are separated by the fold.) Speaking of the fold, it has a hinge system that has multiple interlocking gears. There are 3 cameras on the back, and they can be used in both tablet and phone mode. Android has been optimized so you can run 3 apps at once on the Galaxy Fold when opened to tablet mode. It will be available April 26th, and will cost an eye-watering $1980!! What about the Galaxy S10 phones? We already knew quite a bit about them, but now have even more on the S10, S10 Plus, the (less pricey) S10E, and S10 5G. Samsung is tricking them out…the base S10 ($900) has a 6.1 inch screen, 3 rear cams, a front selfie cam with dual aperture for better low light shots, and up to 512Gigs of storage and 8 Gigs of RAM. It sports a 3400mAh battery, has fast wireless charging, and WiFi 6, and in-screen fingerprint reader. the S10 Plus has a 6.4 inch screen, 4100mAh battery, the 3 rear cams, but adds a second selfie lens to the front shooter. It can be had with an insane 1TB storage capacity and 12 Gigs of RAM. The S10E is $750, and has only 2 rear cams, 5.8 inch (non curved) screen, NO in screen fingerprint reader…but has one in the power button on the right side. The S10 5G…this baby has a 6.7 inch screen, two cams on the front, and FOUR on the back. 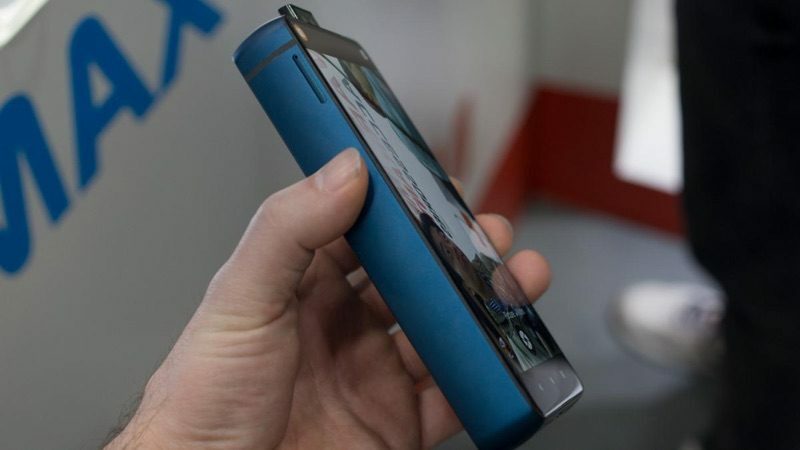 It has a 3D depth sensing cam on the back, along with the other 3. That 4th lens is only for fancy photo tricks and AR, though…not face-scanning like Apple’s Face ID. It has a monster 4500mAh battery, 256 Gigs of storage, and 8 Gigs or RAM. It is the only one of the S10’s that doesn’t have a microSD slot. No price was released for the 5G phone, but it is coming first to Verizon in April…then to the other carriers by the end of June. Apple will be allowing developers to build apps that will run on either iOS or the MacOS by 2020. According to arstechnica.com, the details may be revealed this June at their Worldwide Developers Conference. For now, the workings are called Project Marzipan. Earlier this month, Google announced that Google Assistant would now work with its home security and alarm system Nest Secure. People wondered how that could be, and it’s been revealed that there has been a microphone in the device all along. Businessinsider.com says Google has apologized, and said that it never intended for the mic’s presence to be a secret….but somehow, it was left out of all product materials. Google calls this ‘an error,’ but a fair amount of criticism has erupted over having such a feature lurking in the Secure. Google claims it couldn’t be activated at the time, but is needed for things like a glass breakage sensor to be available in the future. SOUNDS like b.s. to me! It was primarily fueled by their growing online grocery business, but Walmart’s e-commerce sales were up a whopping 43% in the 4th quarter of last year. Techcrunch.com reports that the retail giant brought in $138.8 billion, just exceeding the forecast of $138.76 billion. Walmart offers grocery pickup at over 2100 locations and delivery at nearly 800 around the country. Qualcomm has revealed their latest modem chip, the Snapdragon X55. According to cnet.com, it will run on anything from 2G to 5G networks. At 5G, it can run between 10 and 100 times faster, AND it will give you more range and will be more power efficient…giving users better battery life! Qualcomm expects to ship the first 5G modems to partners later this year. Twitch, which has been owned by Amazon for several years now, has been getting into Google’s drawers, syphoning off talent and users from YouTube. Now, theverge.com says Google is planning to hold a mysterious gaming-related event at the Game Developers Conference next month. They allude to a big reveal on March 19th at 10am Pacific. It’s already been widely reported that Google has been working on their Project Stream service the last 6 months…that allows gamers to stream games in their Chrome browser. With this announcement tease, it appears that Google may be getting set to roll out a full game streaming service. It’s a small blow to Blu-ray, but not nearly a death blow. Samsung is exiting the business. Arstechnica.com reports that they really haven’t had a new player since 2017, and now will exit the business. Part of the reason may be that they are getting trounced by the competition…Samsung has stuck with HDR-10, while Sony and Panasonic have offered Dolby Vision HDR support. At the esoteric level, home theatre enthusiasts adore Dolby Vision, because it allows a more finely tuned, beautiful picture. Sony and Panasonic plan to keep building Blu-rays, which are still selling fine (and they have had the lion’s share of the market, leaving Samsung with the scraps.) Of course, Playstation 4 and Xbox One consoles also play Blu-ray, so don’t expect the format to disappear overnight, despite the popularity of streaming.